Here is something special for the men's, after many of my customers has been asking me if I sell any mola accessories for men's. Wear something unique and different that no one will have and let it be the center piece of conversation. Just on time for Christmas, so go ahead and choose your favorite for your love ones. What I did is buy ties here in the USA and take them to the Kuna Artisans that I work with,so they can work on the ties and at the same time they can earn money to help and support their families. 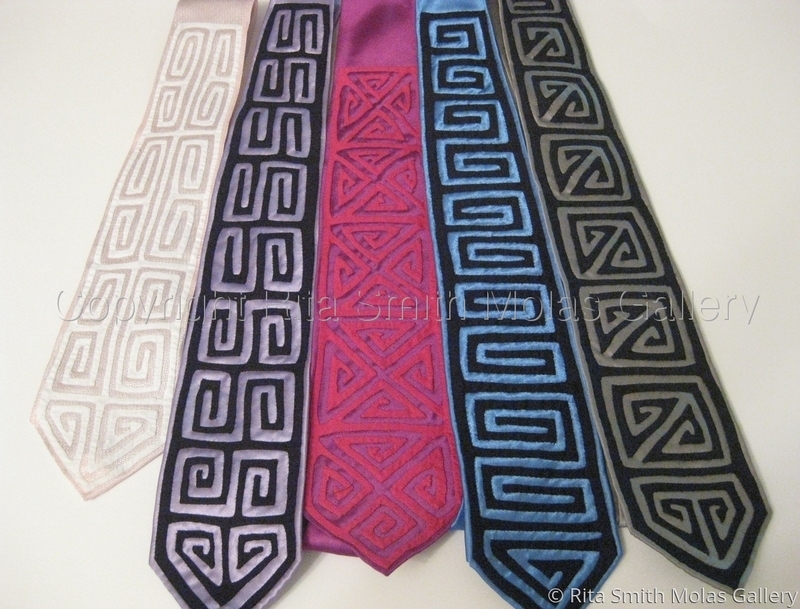 All the ties are new and I also have some brand names like Calving Klein, John Ashford, etc.